Living in England, you learn that the British Empire was something positive. It brought roads, education, medicine, and culture to the masses. You see movies of the aristocratic class in India, Africa, and just about everywhere else. “The sun never set of the British Empire,” was said as an expression of pride, if not wistfulness, as I grew up. One of the biggest shocks to my social conscience occurred when I began studying sociology at London University. I had been political as a teenager, advocating for human rights in the Soviet Union, Tibet and South Africa. I was about to receive a rude awakening. I arrived late to university as the semester opened on Rosh Hashanah, the Jewish New Year. The class was discussing a book, A Savage Culture, by Remi Kapo. A black, English sociologist was describing how many of the violent, classist, and racist facets of British society, were entrenched as part of the psyche of the British Empire, even though the British Empire was now a largely inactive Commonwealth. I thought I was just missing something. I raised my hand and asked whether his premise was that the British Empire was wrong and evil. You could have cut the tension with a chainsaw. The professor looked at me for a moment trying to decide, I imagine, whether I was being a smartass. Seeing that I was trying to disappear from embarrassment, he took pity and explained everything, feeding off my willingness to be honest about what I had learned growing up. I remember wanting to tell him and the other students how I considered myself a political activist and brag about the campaigns I had participated in. This was a group of very politically aware students and it was a while before they accepted me as a friend. It is easy and convenient to see evils from afar and confer rapid judgment on what others are doing. Here on the Left Coast we are especially good at doing this. However, are we doing this to feel good with ourselves because we are unable to solve the injustices in our own backyard? Does it not feel more righteous to accuse others (usually well-deserving), rather than admit when we fail to achieve the values and ideologies that we preach? The age of the Internet has made it possible to help others in any part of the world. 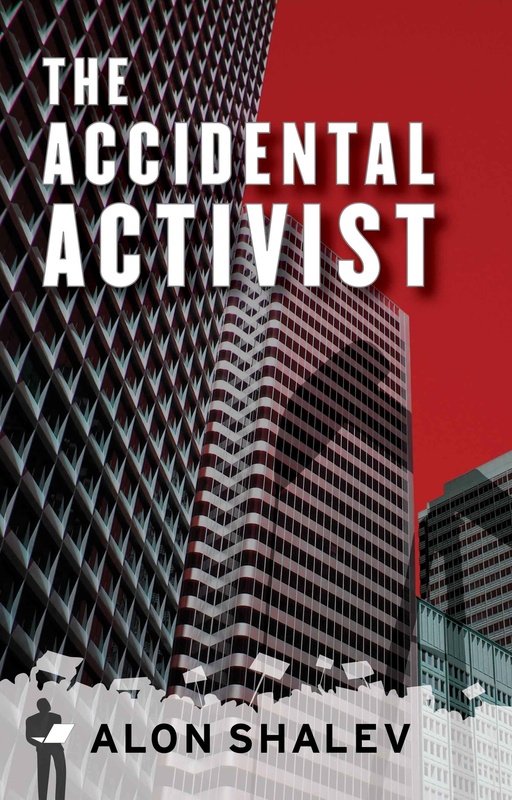 My novel, The Accidental Activist, tells this very story, highlighting how the Internet was utilized by a small group of activists to fight a multinational corporation in court (It is based on the McDonald’s libel trial in England in the 1990’s). But while today there is no excuse for being uninformed about world events, it also makes it easier to avoid injustice on our own doorstep. It is simply more convenient to go online than onto the streets.